Wondering if Archangel Michael is really with you? In this article/ video you will learn the top 5 signs that he is! Archangel Michael is the powerful Archangel of protection and Divine Will. While Archangel Michael is a powerful leader of angels, he also directly assists and supports humanity when called upon. 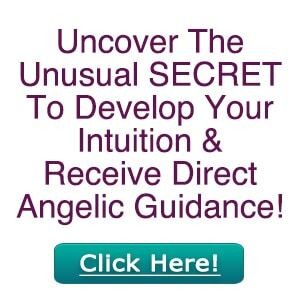 Not sure when to call upon Archangel Michael? Of course he’s available for so much more as the full extent of his work and service really is a vast. He has an entire legion of angels who work directly with him who support him in his work and mission and interestingly, because Archangel Michael connects to us through the sun and is directly involved with humanity. He was one of the easiest of the archangels to feel, hear and to connect with. In this article I want to share with you some key signs to look for so you can know when he is indeed with you. But first, know that if you want to experience the protection, love, guidance and presence of Michael, it’s important to ask! Asking is, of course, the key to his stepping forward and making himself known to you. So now, let’s talk about signs so you can know when he’s with you! The first sign of Michael I want to share, comes through your simply feeling his light and presence. When Archangel Michael steps forward, to me, his energy feels so bright, warm and uplifting. I feel it like a warm tingling sensation throughout my being. Feeling this warm tingling sensation in your body is a sign he’s with you. You may feel your energy shift, lighten up, or it may simply feel like your very cells are glowing and tingling with light as you become aware of his presence with your subtle senses. 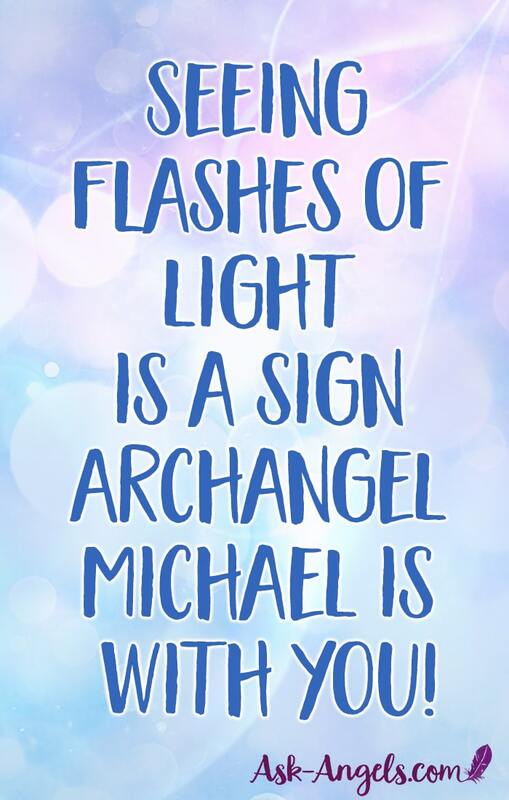 You also might feel like you literally have an orb of light around you shielding you when Michael steps forward to guide or protect you energetically. Archangel Michael is an Archangel of the Sun, and he carries electric blue fire. This is part of why feeling that warm tingling sensation is a sign he’s with you. If you don’t resonate with my description of what Archangel Michael feels like, and you feel something else, pay attention to that as it may be different for you. Really, describing what angelic energy feels like is beyond words… So just pay attention to how you feel, and if you notice a subtle shift after you call AA Michael in because , that tingling, glowing, or just feeling so incredibly light and uplifted is a clear sign that Archangel Michael is indeed with you, has answered your request and is assisting you in your life. The second sign Michael is with you, is that you start to see or notice flickers, sparkles, of flashes of light. As I mentioned above, Archangel Michael is deeply connected to the sun and carries the energy of electrical fire, so anytime you are connecting with Archangel Michael, the likelihood of seeing flashes of light, sparkles of light on water, blueish purple orbs or geometries light are clear signs of Archangel Michael. You might see this sort of light in your meditations, appearing in your minds eye, or you might see physical lights flashing, flickering, or noticing a light glow or halo appearing in your field of vision. Also, Archangel Michael has way of connecting to humanity through a sort of light grid, this is how he's able to connect with all who call upon him at once. So you might even sort of see flickers or glimpses of this grid of light when you’re connecting with Archangel Michael. The third sign Michael is assisting you, is that you you start to see images of him popping up in your life. These images could show up on your social media timeline, on a commercial, or you may simply see them when you're out and about. In addition to images that are clearly representative of Archangel Michael, you might also see images of swords, warriors, or shields, and really, seeing any sort of protective or warrior imagery can be a sign from Archangel Michael. This is especially true when you see these images and the timing of your seeing them is synchronistic. Also, when you keep seeing images of Michael at different times and places, this is a really clear sign he's with you and wanting to get your attention. This sign doesn't only come through pictures though and can also manifest through your noticing sculptures, or artwork depicting Archangel Michael or other Archangel Michael symbols like shields, swords, or warriors. When you begin to see Archangel Michael artwork and symbolism, after you’ve asked for assistance, that is a huge sign of his presence. The fourth sign that Archangel Michael is really with you and assisting you, guiding you, protecting you, and supporting you, is that you begin to hear guidance. This guidance may come through your inner sense of hearing, through your clair-audience, or inner voice. You may simply receive the guidance from Michael in the form of thoughts that are empowering, that are supportive, that remind you that you're safe, that remind you that you’re surrounded by light, and remind you are okay. Receiving this sort of guidance, even if its very subtle is a big sign of the presence of Archangel Michael. Especially when you receive guidance after you've asked for insight, protection or support from Michael. 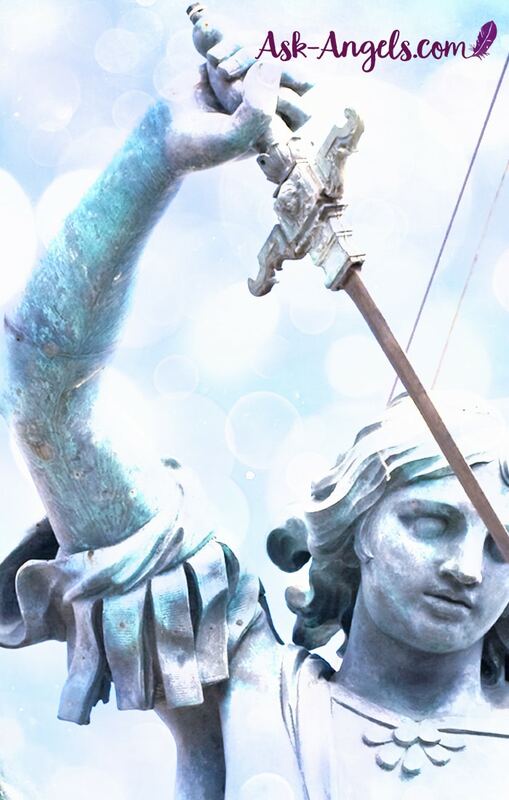 Hearing guidance as a sign of Archangel Michael can also come in another way. You may overhear little bits or snippets of other people's conversations that bring you a sense of confirmation or validation. 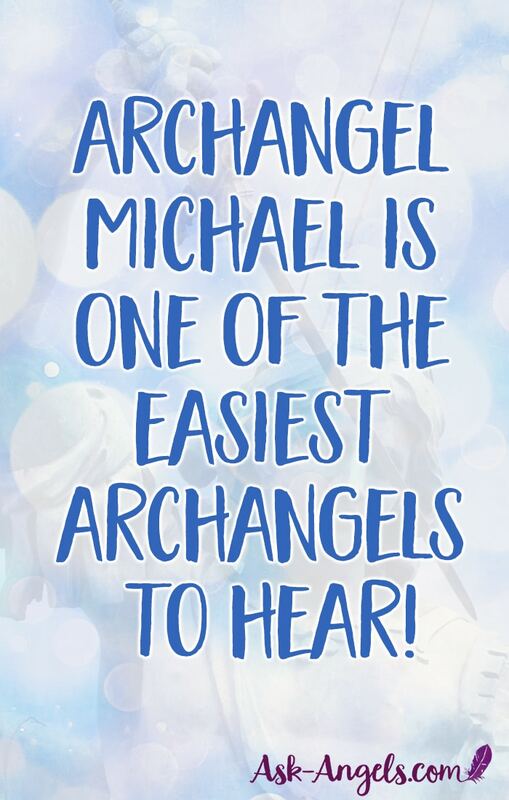 When you’re working with Archangel Michael, you may actually start to see, hear and notice the name Michael more. This is a beautiful sign and validation. Also, you may overhear a little bit of a conversation that just seems to stand out to you as offering you guidance or confirmation. For example you may hear someone say “You really should eat healthier… start with more vegetables..” and although they were not speaking to you… You heard it for a reason. When you hear guidance in this way, and you feel that it's meant for you, trust that and take it as a sign from Archangel Michael. Last but not least, the fifth sign of Archangel Michael’s presence in your life is that you feel protected. You may feel like someone is watching over you. You feel like you're being guided, supported, uplifted and most importantly protected. When Archangel Michael connects directly with you, he places light in your energy field that acts as a sort of shield. This naturally feels uplifting, protecting, supportive, and so empowering. You so of course have to be sensitive to be able to feel the light and shield of Archangel Michael, so if you're not feeling it, don't judge yourself or say that you're not connected with Archangel Michael. Rather, just begin to pay more attention to your subtle feelings and sensations when you ask Archangel Michael to step forward. Do you feel like you're being watched over? And then you suddenly feel a little better, trust that he has indeed stepped forward to assist you on your path. Feeling supported and protected is a sign that Archangel Michael is with you. 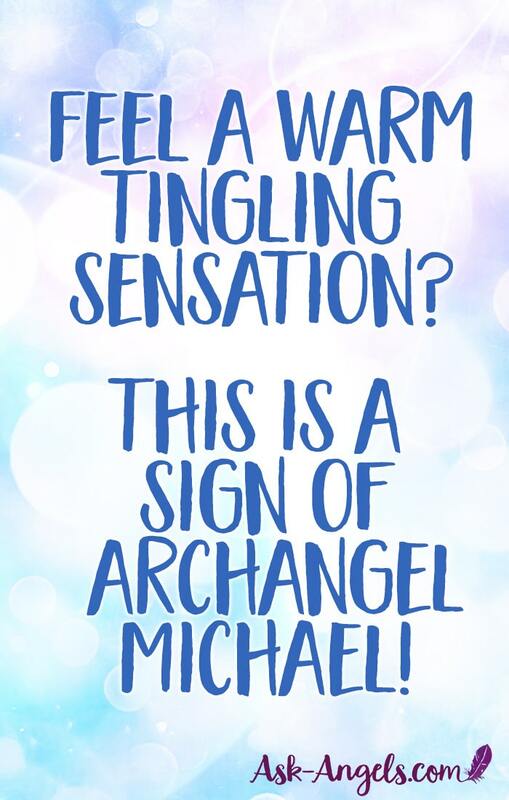 Whether you’re currently experiencing any of these signs or not… Remember to invite in the presence of not only Archangel Michael, but also your personal team of guides and angels of light and love who can most serve, support, help, and assist you in your life. The angelic realm is always right there, ready and willing to assist you when you ask and invite angelic help in. 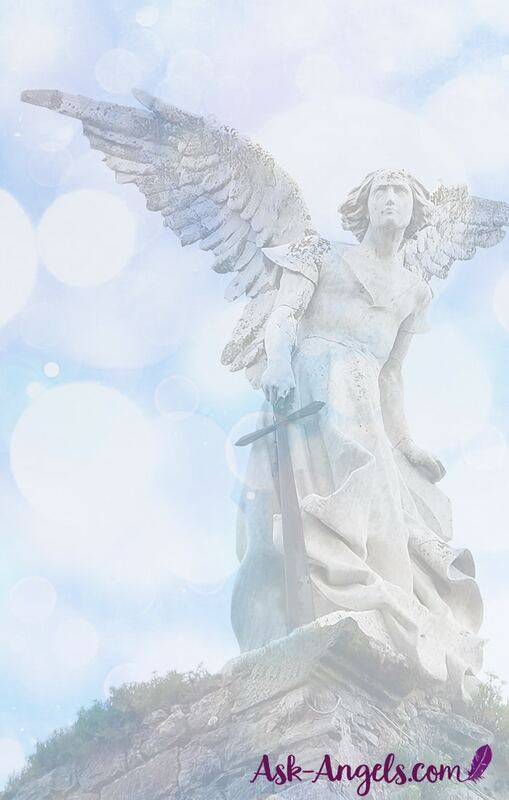 I hope that these signs of Archangel Michael’s presence have been helpful for you to learn, and helpful for you in recognizing that when you ask, you are indeed assisted. Remember to be open to how the guidance from the angels unfolds in your life, as it will likely be different than you expect. Finally, trust your inner guidance, trust your intuition as to whether what you experience is a sign. For example, if you find a butterfly sticker on the ground, and you feel like its a sign from Archangel Michael, it probably is! Listen to your inner guidance, because that is where the angels will begin to connect with you. Listen, trust, and act upon the guidance you receive, and know that you're so loved and supported by Archangel Michael and by all of the angels of love and light in the higher realms. 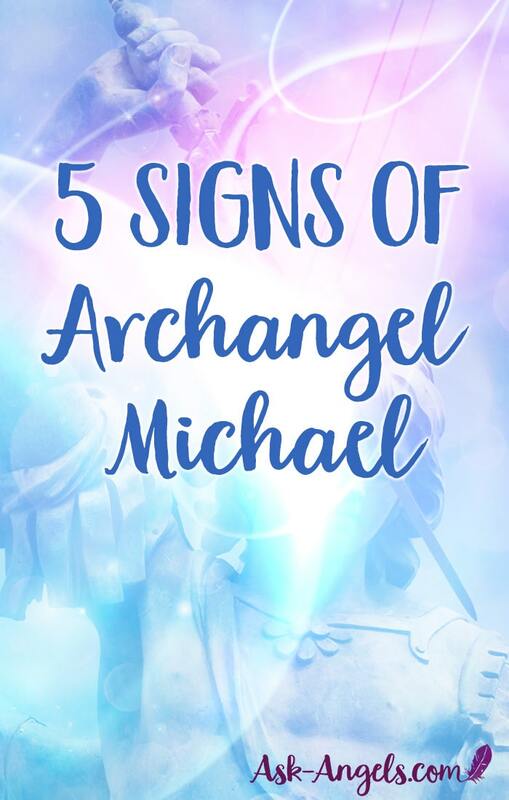 I hope that article this was helpful for you again, comment below if you enjoyed it, or comment with other signs that you recognize as being from Archangel Michael. Thank you Melanie. I have been searching for Michael and now I realize he is here with me most of the time probably. What a beautiful article and what a beautiful soul you have. Thank you again for explaining so much more to me than I ever new about Archangel Michael. I already feel his protecting stretching out to me and to my entire family. What a beautiful way to begin the evening with such a wonderful discovery. After reading this, I feel confident that my spiritual encouter was indeed Michael. I was walking in a parking lot and there was a young boy probably around the age of 17 in a car driving slowly by me. I assumed sitting beside the boy in the passengers seat was his father, taking his son for driving practice. In the back seat of the car was a man who looked maybe in his 30s with blonde wavy hair about chin length, and really light blue eyes. I thought hmm…. this looks odd abd he doesnt look like he belongs in the car. Then the blonde man put both his hands on the car window and smiled at me. After that I saw a blue electric tunnel and I felt pure peace and pure love, a love so pure humans cannot be capable of. This all happens in seconds then I came back to seeing the car drive away from me with the blonde guys hands still on the window. I called upon archangel Michael last night and invited him in to my life yet I didn’t experience anything and so I don’t know if it worked. Could you please tell me if not experiencing Michael is normal after asking for him or did I do something wrong??? This was a very beautiful, helpful, and insightful article. Thank you. I am so appreciative. I asked for archangel michael protection i felt a blood flow chilling feeling on my body. But also felt like I’m abt to faint. Are these signs good. I keep seeing signs of the crucifix when I am trying to sleep? Am I okay? That is lovely and I always ask angel Micheal for love,light and protection. Awesome! Great sign he’s with you and helping! Wow I thought it was archangel st Michael, I saw a angel with a sword and next to it like he was carrying it a blue with orange light but I’m color blind so it might have been purple and yellow light in the Sky. Also I see flicking light in front of me all the time especially when I ask for guidance or meditate with him. I have other guides I use with him also. Thank that helped a lot, I thought I needed new glasses again. Beautiful! So loving and supported! I felt the Archangel Michael’s presence all around me while you spoke on the video and even now in control of my typewriter. This is truly AWESOME! Archangel Michael is writing this message to you. He loves the work you are doing as do I.
I feel tingling quite often, following by my mood uplifting – also I get the impression that I have a shield in front of me as a form of protection against negative forces (I seem to feel protected when wearing my angelic protection pendant – which I wear most days). I always notice the florescent light fittings flickering at work especially the one above my head (or in the room that I am in). i love all your posts & reading, & i tell everyone. thank you!!! Thank you so much for sharing Elaine! Love and blessings your way! MY NON VERBAL AUTISTIC MITTLE NAME IS MICHEAL, I DON’T CALL HIM ARVIN, JUST MICHEAL, AND I’M WAITING, FOR A MIRACLE, FROM ANGEL MICHEAL, TO CURE MY SON, AND BRING US HOPE, PIECE, AND GOOD LUCK, I LOVE YOU, AND ALL ANGELS, I FEEL THEY’RE PRESENTS, GOD BLESS EVERY BODY, IN THE WORLD, SPECIALY, SICK, CHILDREN ……CARMELLA NAZARIAN, FROM, SYLMAR CALIFORNIA . Archangel Metatron is very helpful for supporting sensitive children. Sending you and your son love and blessings. As i was reading the ARCHANGEL MICHAEL’S article, i felt his presence and this shows he is with me. THANKS soo much Melanie for this wonderful Article. Thanks so much Melanie. Your advice and comments make all the sense to me. I usually see with the corner of my right eye, two or three small white orbs of light dashing from the front to the back. Other times, when I’m going through difficult moments, I feel that warm tingling sensation which leaves me with a sense that I’m being protected. God bless you Melanie. Oooh I felt the tingles, wonderful. I often feel tingles run through my body, I love it. Thank you Melanie this is most enlightening. So glad to hear this was helpful!